Hi everyone! 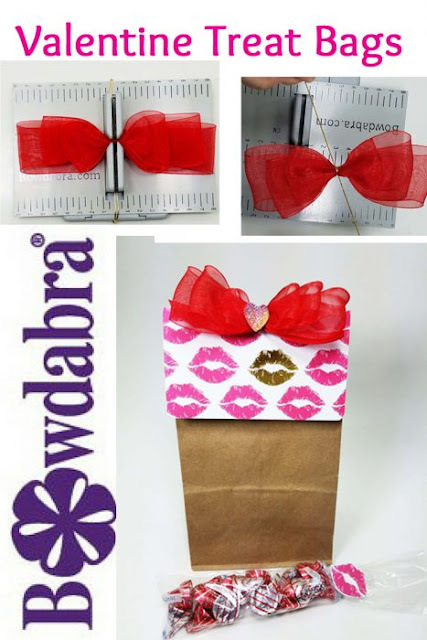 Today I have an easy tutorial on how to make these cute treat bags for Valentine's Day over on the Bowdabra Blog. I love to create fun gifts with my daughter for her classmates on Valentine's Day. For the complete tutorial go and check it out on the Bowdabra Blog today!